Salads are the single healthiest type of food/cuisine to eat. They are also easy to absolutely destroy. In fact, while sitting here I’m munching on an entire head of organic green lettuce. Some choose potato chips, I prefer lettuce! A perfect snack while blogging! Coat it in crunchy stuff like croutons, fried onions, etc. I prefer to eat my salads raw. Usually just a bunch of lettuce and some carrots or radishes I’ll munch on before eating dinner. If I am having only a salad for a meal, I’ll sometimes use plain olive oil and balsamic vinegar for a light dressing, and top it with grilled tofu or some beans, bell peppers, radishes and avocado. The amount of avocado and other “heavier” stuff I use depends on how much I’ve been training that week. 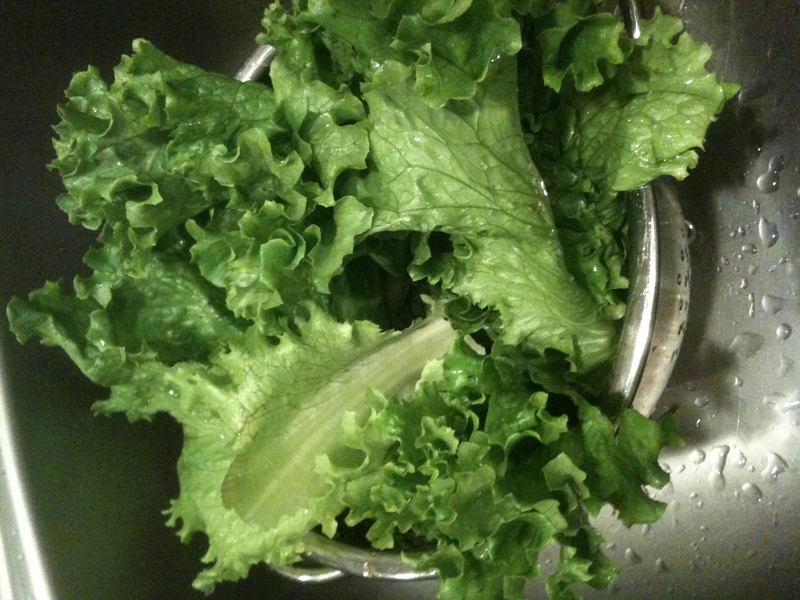 I use a TON of greens (really, my salads are ginormous – usually a whole large head of organic romaine). I am so grateful to have found your site. I can’t stop reading the articles. Thank you for your efforts and please keep up the good work. I am very inspired and am ready to take my workouts and health to the next level. I’m very happy for a large kind organic vegetables in Turkey.